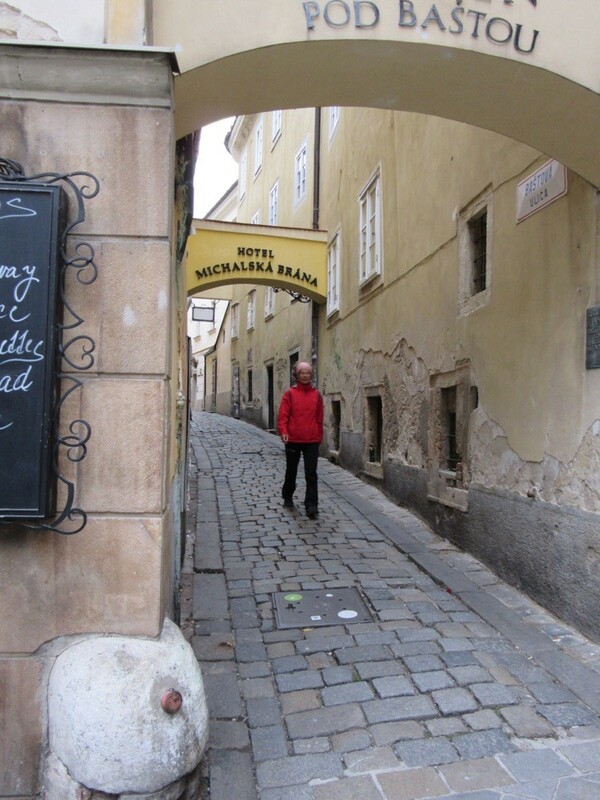 On Sunday , 11th October, we entered Slovakia, actually Bratislava, as that seems to be the only place to be. In the photo you can see the famous bridge with the UFO which is an observation platform. But we didn't go up due to the bad weather. It wasn't raining but it was windy and only 6 degrees Celsius. So we looked for a hotel first. 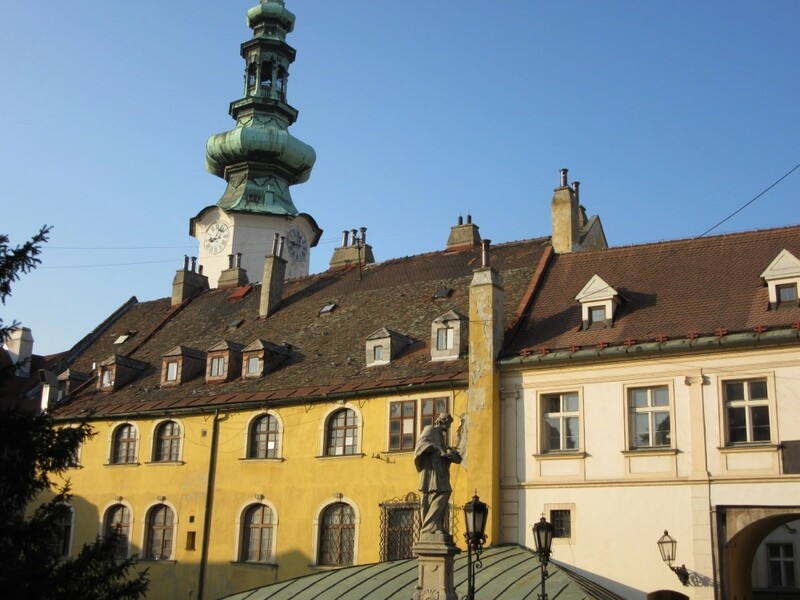 Bratislava is the youngest capital in Europe but has an old city center, very beautiful and that is why there are so many tourists. Many cruising boats along the Danube stop here and the mostly American tourists get long sightseeing tours lead by enthusiastic students. 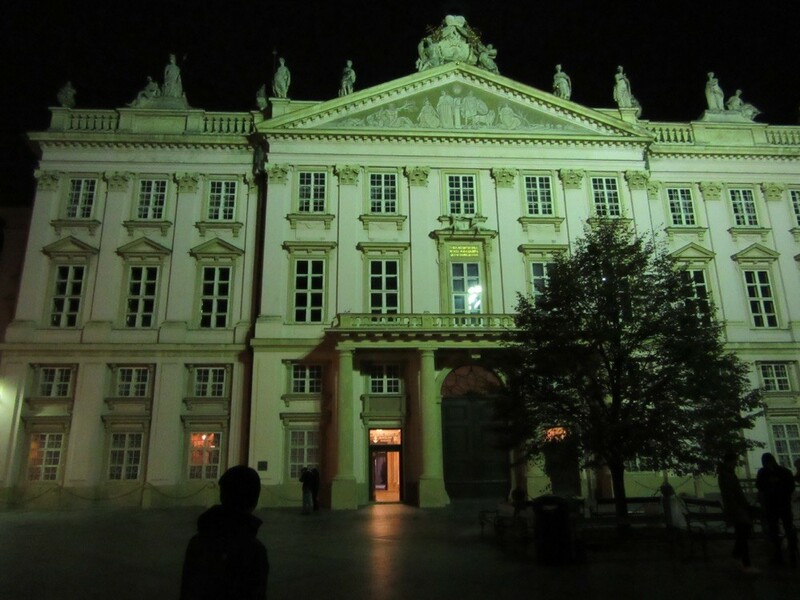 As our hotel was in the city center we also went on a walk at night and admired the beautiful buildings lit up. The next morning the weather was beautiful , actually the best day for weeks (though later it turned cloudy again but we didn't know that in the morning) . 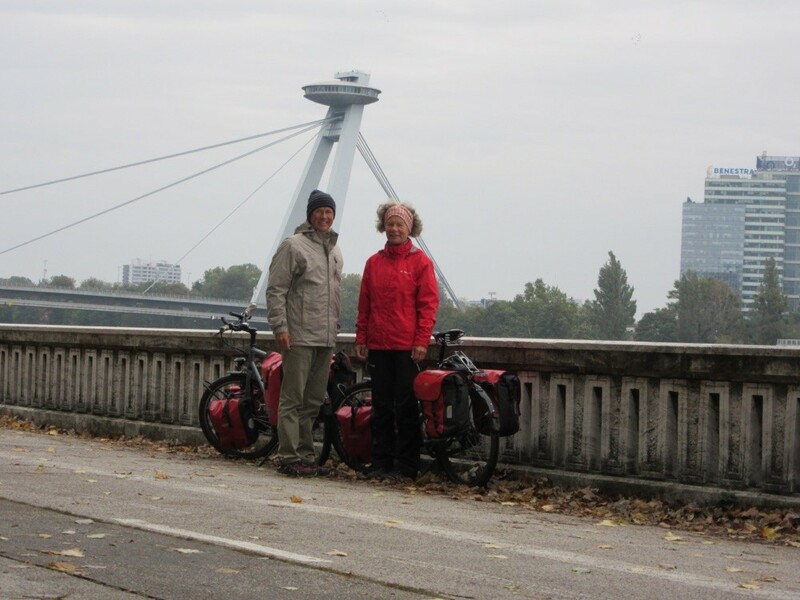 We went on, just a few kilometers in Slowakia and then we already entered Hungary. The cycle path was excellent due to the money of the EU.